The leading first class saloon limousine in the chauffeur driven car hire market, the S Class Mercedes saloon offers luxury like no other. The Mercedes-Benz S Class is chosen for a combination of reason of which include its sleek design, high tech safety features and of course the most important, its comfortable chauffeur ride. Hire a Mercedes S Class chauffeur car whenever you or your company requires luxury ground travel services in London, England. Experience a chauffeured service for business or private airport transfers in our first class cars. 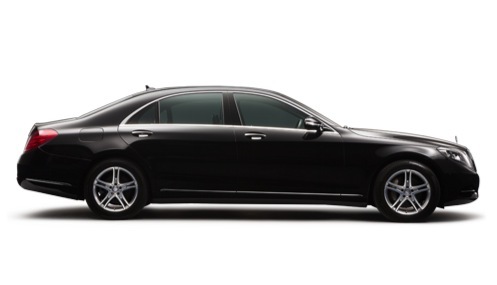 The S Class Mercedes saloon is an elegant passenger car for leisure and business travel. The chauffeur driven Mercedes S Class gives a true touch of class to any journey including hourly hire rentals with driver services for business meetings, sightseeing tours or any other function and London airport transfers to/from London City, Luton, Stansted, Farnborough, London Biggin Hill, RAF Northolt, Gatwick and Heathrow airport. To hire the S Class please don’t hesitate in calling Airport Chauffeurs London today to discuss your requirements. *Please inform the booking manager at the time of booking if required so we can make sure this is available. The temptation of its luxury interiors and stylish exteriors its a popular choice by our clients. To add, the reclining leather seats and the extra leg room in the S Class Mercedes gives a true touch of class to any journey. 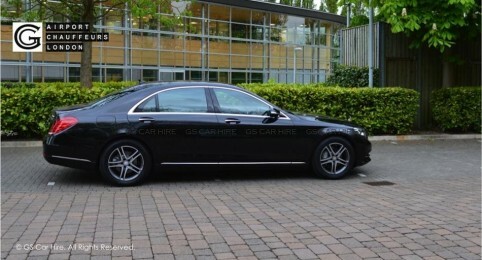 The exceptional design and technology that the new shape luxury chauffeur Mercedes S Class offers is second to none. This elegant private hire car is packed with many high technology features, two of these include advanced safety and driver assistance systems. 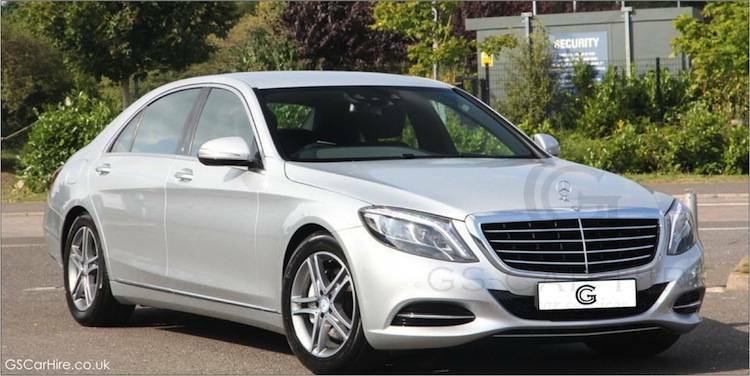 Like with all our chauffeur vehicles our S Class / S Klasse models are fully licensed, insured and maintained to high standards. In addition, our Mercedes-Benz S Class limousines are air conditioned, have electronic windows & blinds, over-padded head rests and much more including those previously mentioned. If enhancing your transportation experience is high on your list along with reliability and affordability than instructing an experienced chauffeur company to provide car services in London is a must. Airport Chauffeurs London strive in providing all this at fixed rates and much more so you, your family and clients receive the best service from the first call. For more information, pricing or to book your chauffeur drive service please contact us or fill in the online quote form.